Fall color is starting to pop and I got a chance to shoot a bit before dark the last two nights. 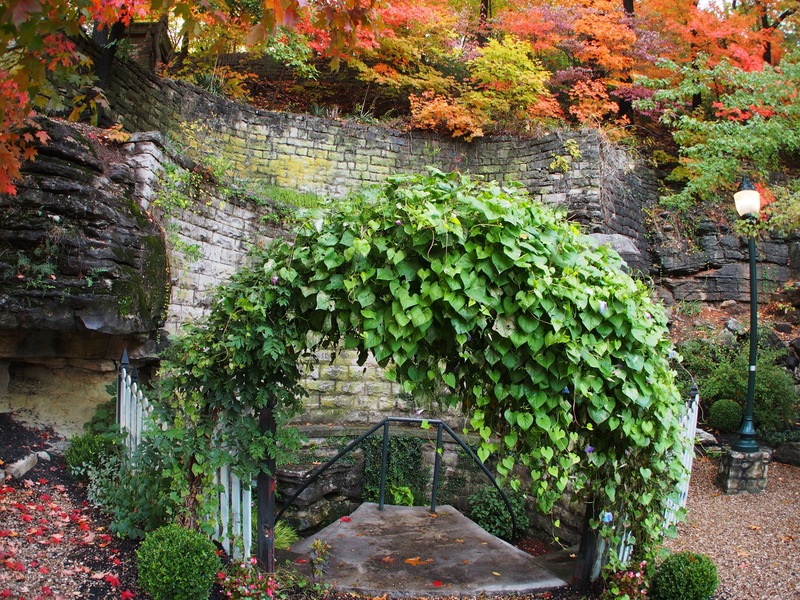 I headed to one of my favorite spots in Eureka Springs – Sweet Spring. Eureka is the town that water built and it has dozens of free flowing springs that attracted Victorian types to come to find healing in the waters. In the 1880s the City created reservations that basically created a protective area around each spring, essentially they created dozens of small jewel-box parks. 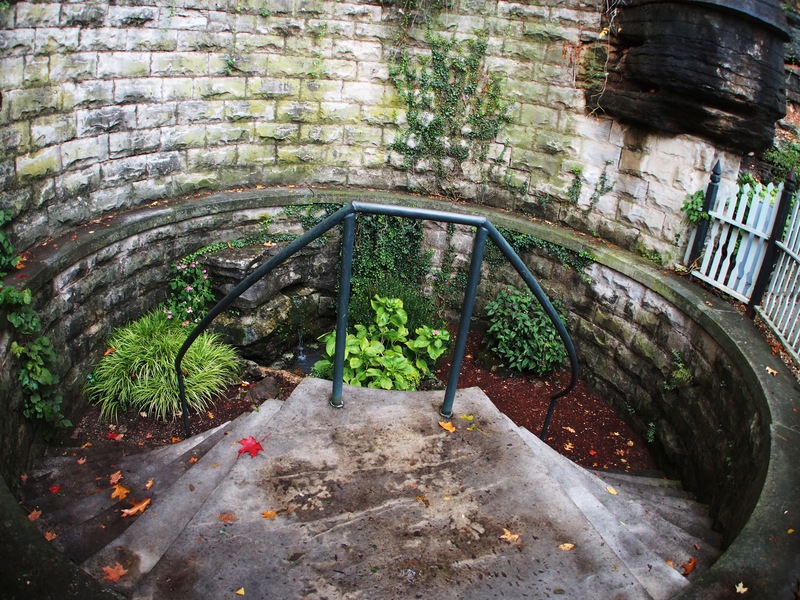 Many of the springs on the west side of town have formal stonework surrounds and Sweet Spring is essentially a spiral staircase that goes down into the ground. It has amazing color on the hill above. I shot these all within 30 minutes of sunset. This was taken with a fish-eye from down inside the stairwell. 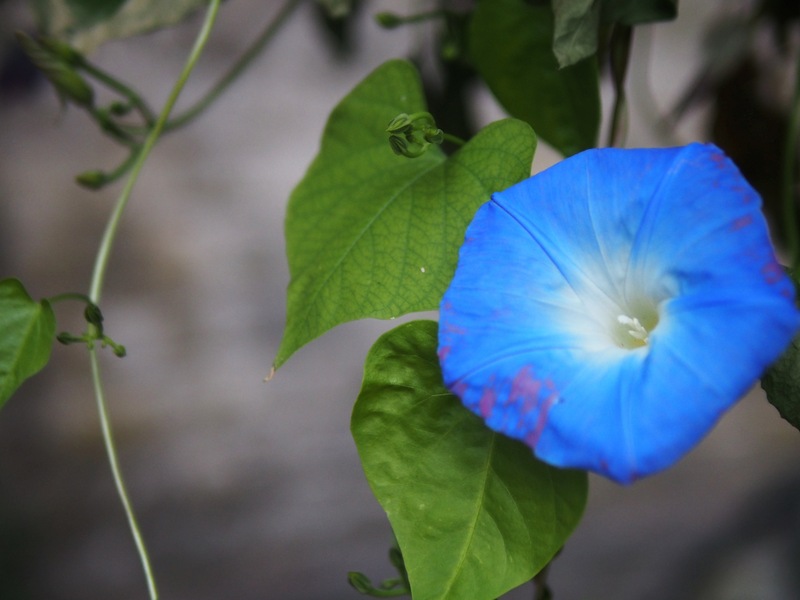 On my way out I had to shoot this morning glory. 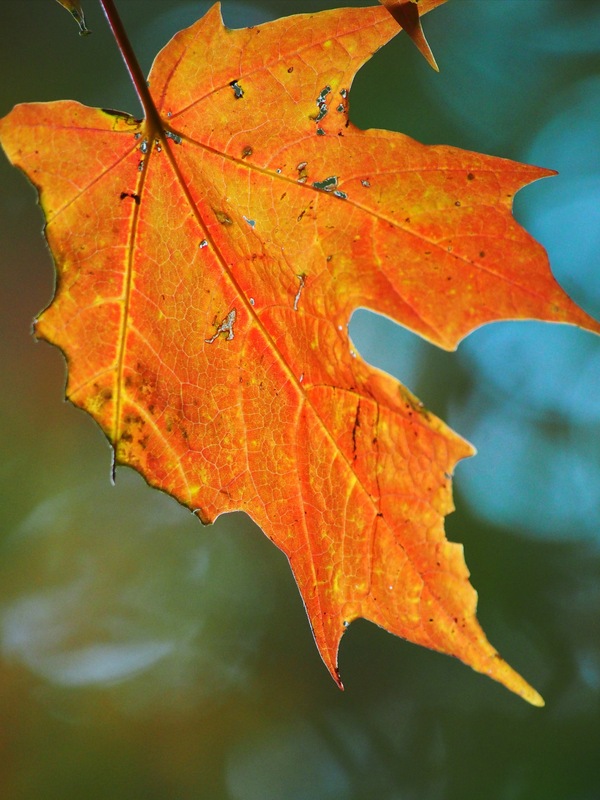 My favorite leaf shot of the evening. Ending the week shooting leaves is good for my soul. Autumn is here! 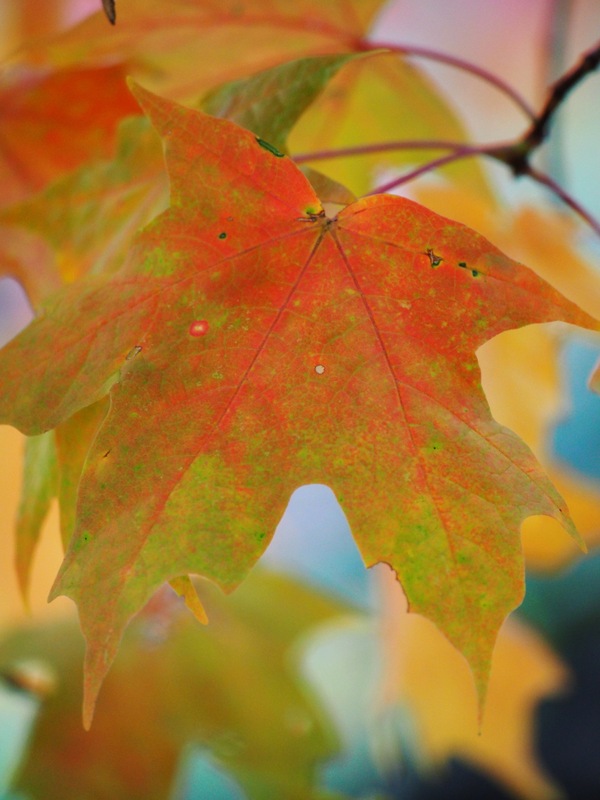 This entry was posted in Ozarks, Photography and tagged Autumn, Eureka Springs, fall, leaf peeking, Olympus, Olympus E-M5, Sweet Spring by artsifrtsy. Bookmark the permalink. We missed that spring. 😦 Love the leaf shots! What lens did you use? Thanks! 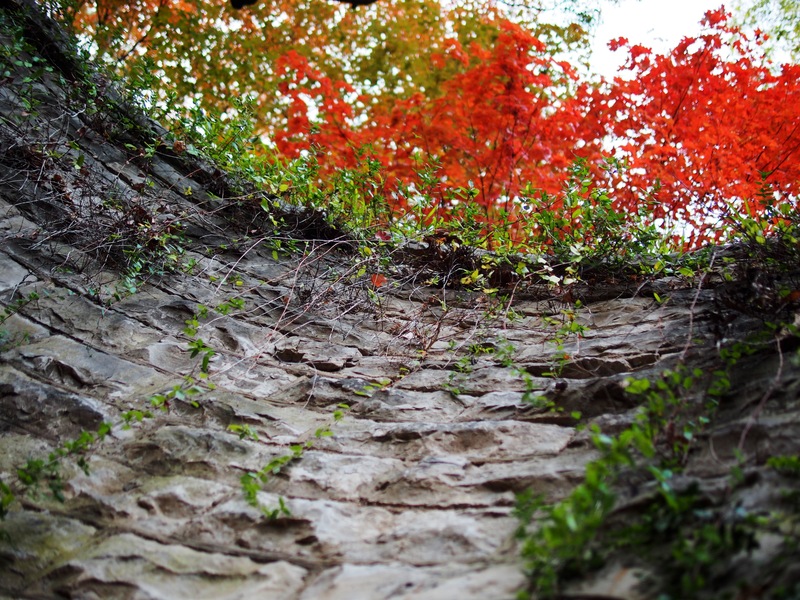 Sweet and Harding are on the same street as Basin and Grotto – they are in between the two and Sweet is my favorite in the fall. For the one inside the spring I used my kit lens with a fisheye converter – for the rest I used my 100-300, my macro, and my fast 50. I love leaves! Thank you for sharing these. Hi Russ – good to hear from you – thanks! 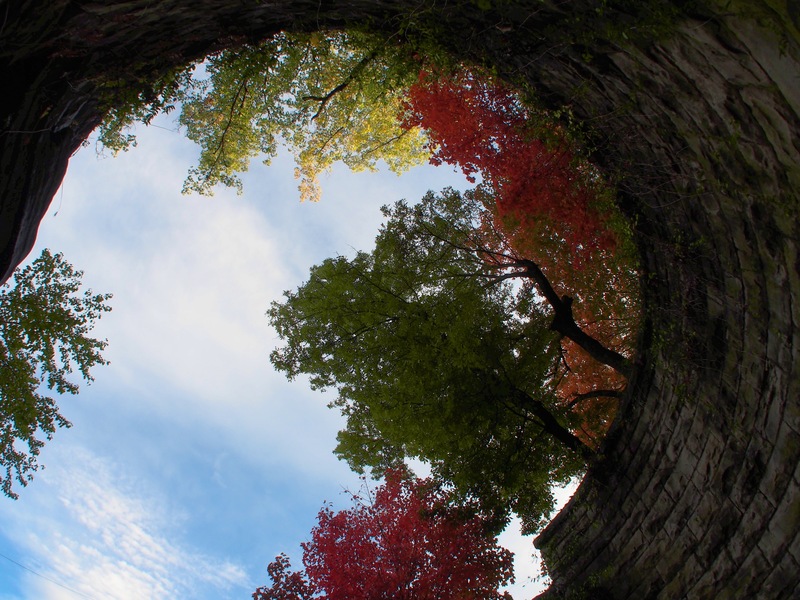 I was surprised to learn that Australia doesn’t have fall colors – so many other amazing wonders. I grew up in the desert so these colors were a treat for me the first time I saw them – I think no matter where life takes me I will want to spend fall someplace like this. Thanks for stopping by! Australia’s trees are mainly evergreen..Eucalypts and wattles. So no ‘fall’. And in many parts of the country there are only two seasons winter and summer. 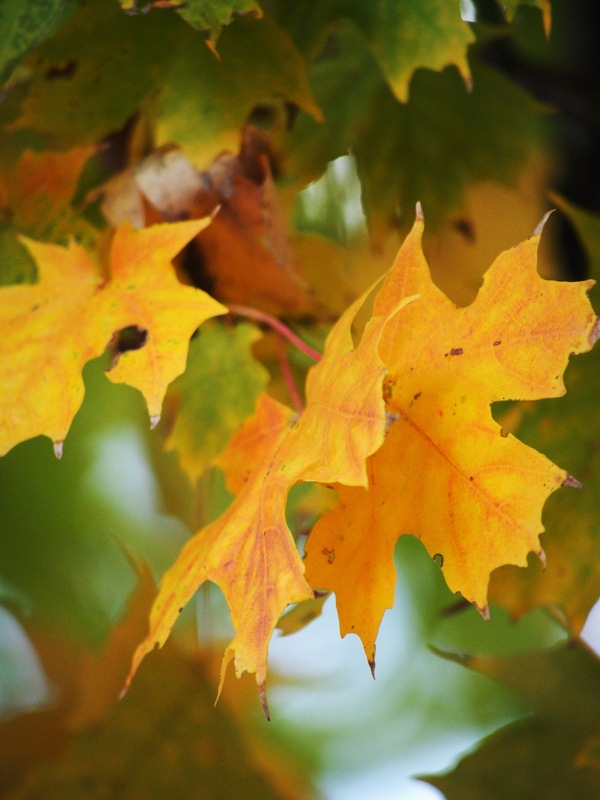 The shoulder seasons are generally skipped over very quickly. Unless like me you live in the south … Tasmania… then here the four seasons are enjoyed. The “shoulder seasons” I love that – they are my favorites! Thanks – I hadn’t expected to see flowers still blooming but the city gardener is amazing – this is one of my favorite springs. These are yummy, spectacularly gorgeous photos! They scream FALL, I love them! Thanks! Fall is the best! What a treasure! I’m loving photos one and three. One is so textural, and rich in colour. three, well, I,m a sucker for unusual vantage points. Fall is such a great season to shoot, especially when we can get a sunny day. Thanks, the third photo is the one I was going for. I’ve shot it before on overcast days and it’s just missing something – sky:) I love this spot, so many angles to explore. AMAZING Photos – thanks for sharing – I live in brown, brown and brown!!! Thanks, with the summers drought I was only expecting brown. Some late summer rain saved the season. Beautiful! Looks like an incredible place to go and just be. And I agree, that last shot is special. Thanks, it really is a lovely spot. There are hiking trails above on the bluff. Beautiful colour & stunning images, Lorri. (although that last shot would tempt me to rub out some spots. LOL). Julie Goyder (from Western Australia) is pretty much correct about Western Australia. They don’t have much Autumn colour on that side of the country. Western Australia is known for it’s spectacular wild flowers in Spring. I get some good colour on my side of Aust. because I live near large public gardens. But the Dandenong ranges overlooking the east suburbs of Melbourne are where the really spectacular Autumn coloured leaves are. Just not as spectacular at your side of the world. We have a lot of eucalyptus trees and native trees that are blue-green and not deciduos. 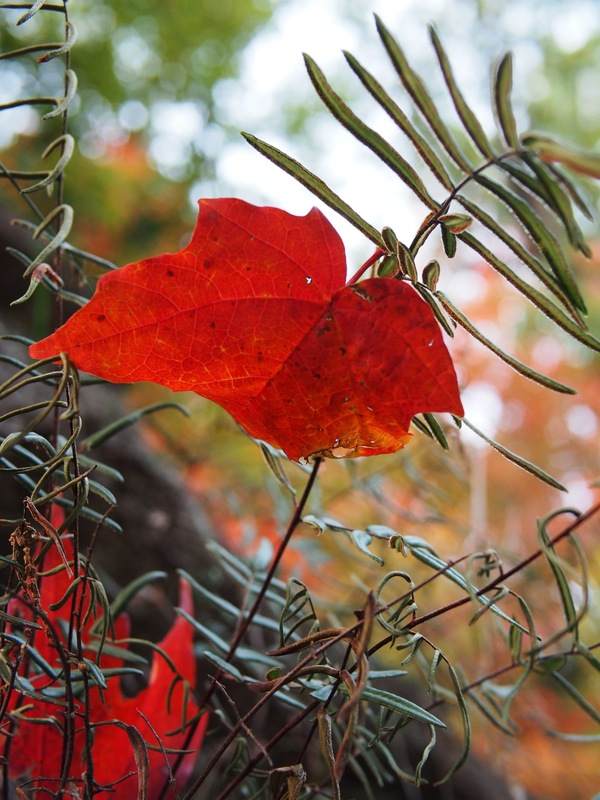 It’s mainly the English trees brought out by the first settlers that have Autumn colour in Australia,. Love that third circular image in this series you’ve posted..
LOL – I suppose it could be cleaned up a bit. In my work I do so much photoshop that I use very little of if on my photos. It’s not that I don’t think it’s ok or anything like that. I prefer not to do much beyond adjusting the exposure or white balance. I just got lost with you! BEAUTIFUL! Thanks – I am taking the train from Seligman to Van Buren tomorrow and I hope I get lots to shoot. told hubby about your journey….he wants the details so we can go too! sprinkles here off and on…. ENJOY! Thanks – I bet the color is coming out out your way too. 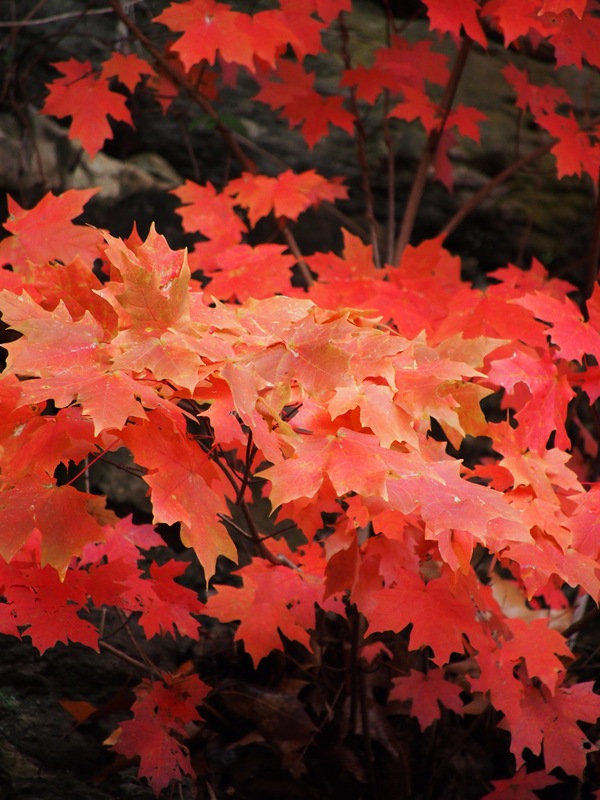 LOL – I posted that one on my FB page with the caption “O Canada” 🙂 I love maples too. Right now they are so many colors at the same time. Well come visit and I’ll make you an honourary Canadian! general rule: where you write or we write our 🙂 well except for words mentor, vendor, oh crap there is no rule! 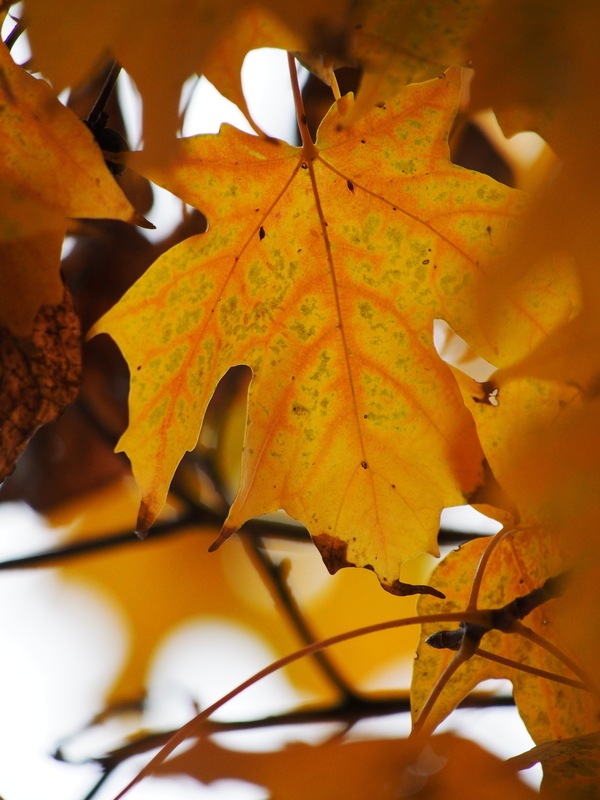 Your autumn is so much more colourful than ours! Really – I would have thought they would be similar after seeing images of Spring. 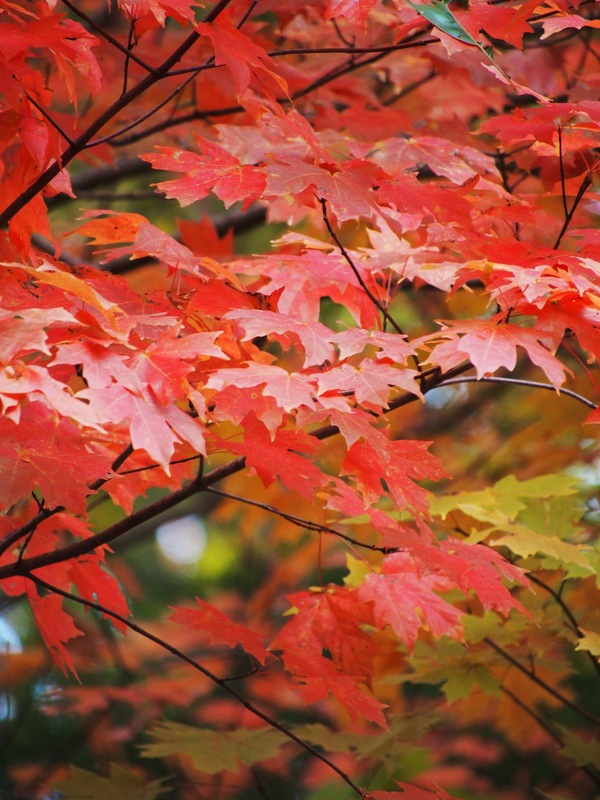 Do you have a lot of deciduous trees there? When I lived in the NW we had mostly pines and firs – no real color at all. 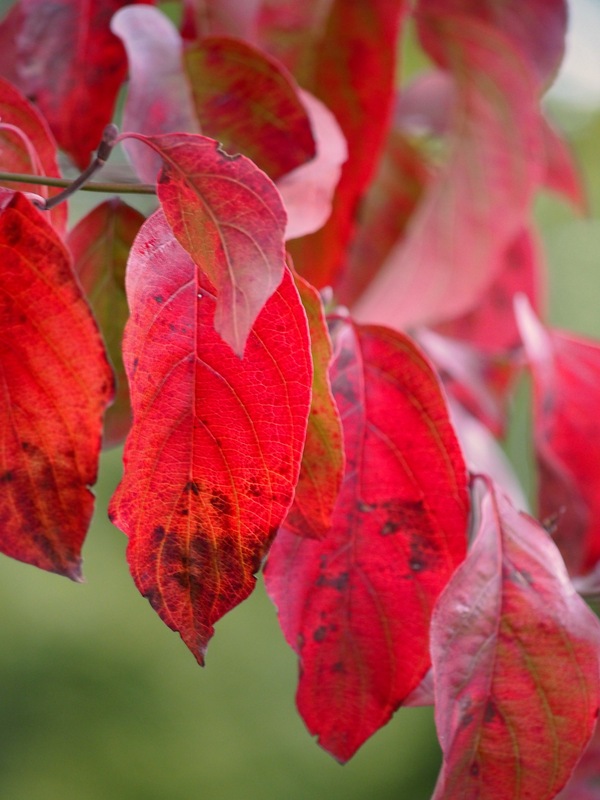 We have nothing colourful in autumn at all! 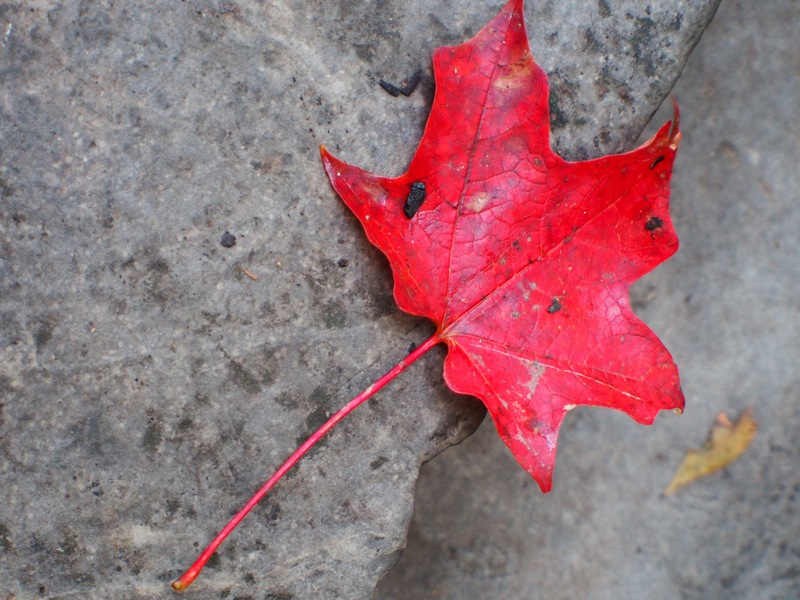 When we lived in Canada we were astounded! Wow – loved the shots from the bottom of the stairwell! Thanks – I tried it yesterday but the sky was overcast – when it cleared this afternoon I took another stab at it. I shoot from down there several times a year – I love the perspective. Absolutely beautiful ~ thx for sharing ! !